Happy Father's Day to all the Dad's out there. Yep! 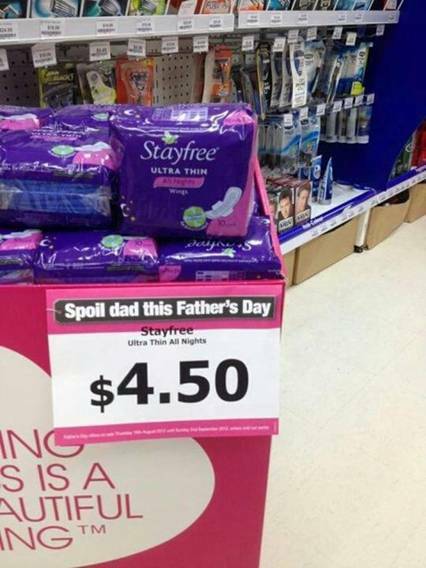 Spoil your Dad or the father of your child(ren) this Father's Day......by sending him to the store so he can buy you some pads. Fellas. It's ok. At some point we all have to do it. It will be OK.